The 82nd Masters tournament held at Augusta National Golf Club may have been the best golfing major in decades. The field was filled with young golfers trying to establish themselves as champions. To name a few, Justin Thomas, Rickie Fowler, Jon Rahm, Jordan Spieth, Cameron Smith and Bryson Dechambeau were just a few young players that lit the leaderboard up on Saturday and Sunday. On the other hand, you had players like Tiger Woods and Phil Mickelson who to fuel their jump back into competitive play. In my opinion, this Masters Tournament was one of the most anticipated weeks of golf, and all the hype surrounding Augusta, GA delivered. A drama filled week kicked off on Wednesday at the annual par-3 challenge, where current competitors and past champions faced off. It is tradition that family members caddie for the players, and in some cases, they even get to hit a shot or two. Golf icon Jack Nicklaus, who holds the record for most Masters wins, let his grandson Gary hit a tee shot on the last hole. Incredibly, he sank the tee shot for an unlikely hole-in-one. 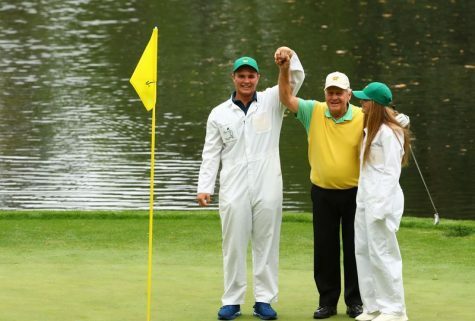 Jack Nicklaus fought back tears in the press room when he mentioned that his grandson’s hole-in-one will forever be his favorite golf memory. 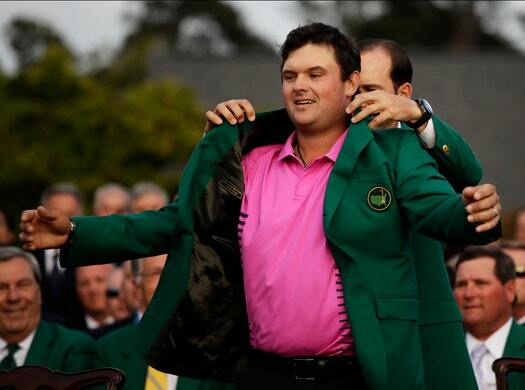 Sunday was a memorable finish at Augusta, with 54-hole leader Patrick Reed winning his 1st major at 15 under par. The players who came after Reed on Sunday were not the men most expected to make a run. Fowler, Spieth and Rahm all carded low numbers during the chase for a green jacket, but no one could top the poised Patrick Reed. Rickie Fowler (-14) started 5 shots back of Reed. He gave Patrick Reed (-15) a run for his money on Sunday, carding a 67 to apply some serious pressure. Fowler was in prime position to make a run at the top, but the other man on top came out of nowhere. Jordan Spieth (-13), who won it in 2015, has a history at the Masters. He has been in contention for the green jacket since 2014, but it looked like 2018 was going to be an off year. Everyone knew someone would take a run at Reed, but Jordan Spieth was not on anyone’s radar. He started out 9 shots back, and put together one of the most impressive Sunday rounds in history. If he would have come from behind to win, he would hold the record for the biggest comeback in majors history. Before his Sunday round, he told a Golf Central reporter that he intended to play a stress-free round, since he felt like there was no chance of being in contention. Ironically enough, he played such great golf that the stress-free round he talked about ended up being the most stressful round of his 2018 season. 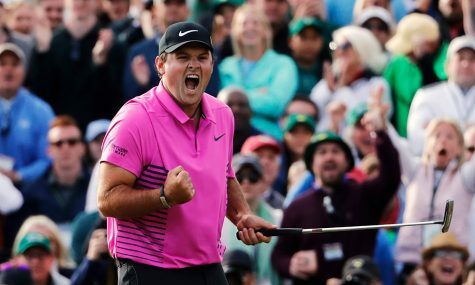 Even though all of these great players chased him throughout the entire week, Patrick Reed remained poised and sealed his spot in history. He played fantastic golf all week, and he deserved to win the tournament. He has been a key player for America during the 2014/16 Ryder Cup and the 2017 Presidents Cup, which he is a combined 6-1-2. Some love him, many hate him, but one thing everyone can agree on is that his fiery attitude and “can’t be beat” mentality is not only great for the game of golf, but a mentality all players should have no matter what the sport may be. The 82nd Masters was filled with excitement, and Fowler and Spieth’s charge on Sunday only made it even better. For the first time in almost 20 years, the top of the leaderboard was filled with American flags. Also, first through sixth place consisted of golfers in their 20’s. 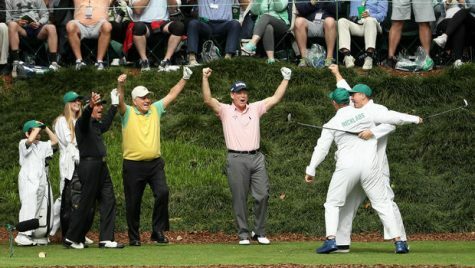 Nick Faldo commented on young golfers as Reed made his way up the 18th fairway. He said, “Welcome to the new age, welcome to the new age of golf.” The game is growing, and there is no telling what the rest of this season holds. Not only has Reed set his career in motion, but the 2018 golf season has much to live up to with the incredible finish that occured on Sunday.